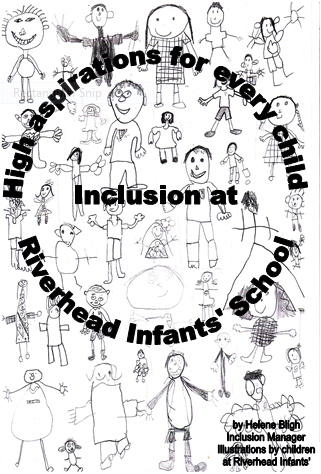 Riverhead is rightly proud of its ethos of inclusion ensuring all children receive the support, care and encouragement to succeed in our mainstream environment. We recognise that children may require support to address their individual needs and additional provision is made to facilitate their learning and progression. The exceptional provision we make is facilitated by our non class-based Inclusion Manager, Mrs Helene Bligh, ensuring time, resources and facilities are used effectively to maximise opportunities for those pupils who need additional provision. To make an appointment with Mrs Bligh, please contact the School Office, 01732 452475, office@riverhead.kent.sch.uk. Staff are highly trained and supported to ensure all needs are met to the highest of standards, and pupils’ health requirements are met to enable them to participate safely and effectively with their peers. This includes safe and effective use of our care suite facilities. To promote Inclusion all children in the school are taught Makaton signing which is integral to our outstanding practice. At Riverhead we recognise that Reading is a key skill imperative to a child’s future development. We therefore employ a Reading Recovery Teacher to provide one-to-one additional support for some pupils. Please click on the relevant links below for further information.